Back in September, just as we were getting excited about the launch of Android Wear 2.0, Google delayed its release, saying that we should instead expect it in “early 2017.” Well, it is now early 2017 and Google has narrowed the launch time frame through emails going out to Android Wear app developers. 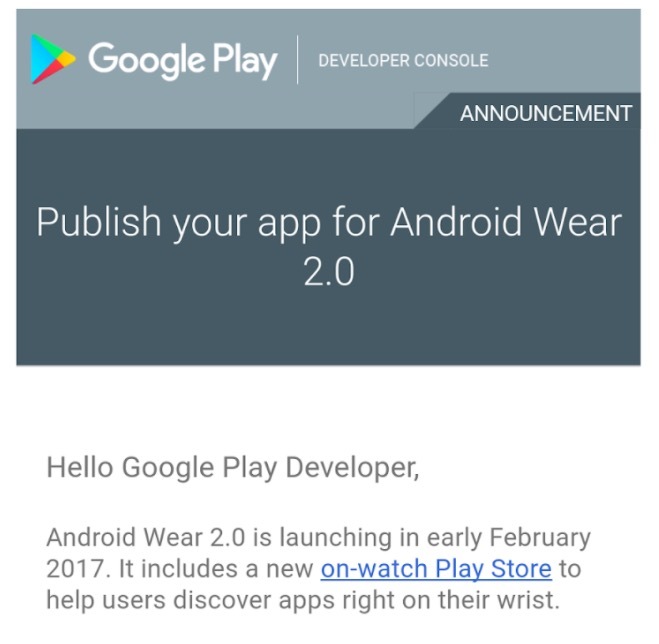 According to the email below, Google is gearing up for an Android Wear 2.0 launch in “early February.” That’s pretty soon! In fact, that’s basically a month away from Android Wear 2.0 reaching some of our favorite smartwatches. What’s new in Android Wear 2.0? A bunch of stuff, namely a refreshed UI, different ways to interact to change watch faces, and a dedicated watch app store. You can see changelogs for new stuff here, here, here, and here. We also put together a video overview of the first release here. While that news is big, one has to wonder if that also means we’ll see the two oft-rumored flagship Android Wear watches launch around that time. 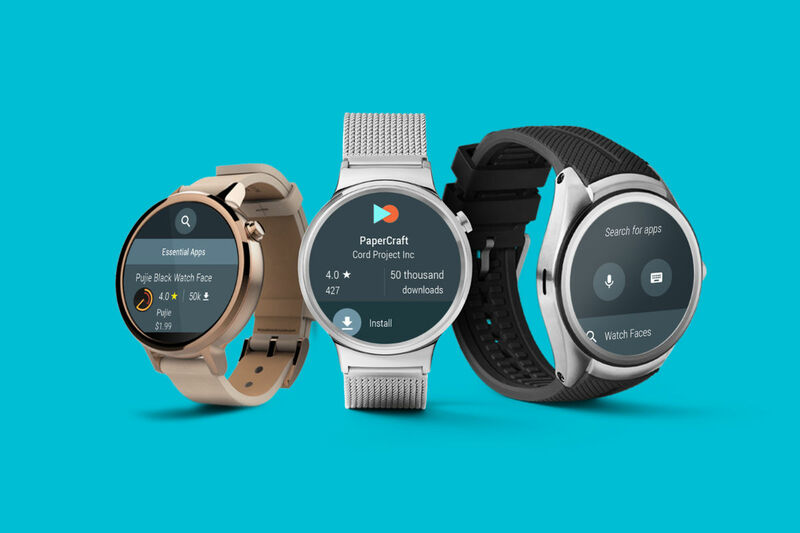 Remember, a report from only a couple of weeks ago suggested that we would see two new Android Wear watches made in partnership with Google at some point during the first quarter of 2017. With mid-February acting as the launch time for Wear 2.0, that seems like the perfect opportunity to highlight its functionality with new hardware. Wednesday Poll: Which OEM's H1 Flagship Are You Most Looking Forward to?